As (P)Na­Cl was deemed dead by its cre­ators, I axed all sup­port for it from all re­pos. Frankly, it was quite a weird plat­form, some­thing in-be­tween OpenGL ES 2.0 and We­bGL 1.0, hav­ing very spe­cial ug­ly C++ API and shar­ing a lot of C++11 work­arounds with An­droid (sigh). In the Mag­num repos­i­to­ry alone, the amount of delet­ed code was al­most 5k lines. On the oth­er hand, adding sup­port for We­bAssem­bly was al­most too easy. With Em­scripten 1.37.9 and new­er it just boils down to adding one new com­pil­er and link­er flag, dif­fer­ent files are gen­er­at­ed (but they are still load­ed au­to­mat­i­cal­ly from the main *.js file), and ev­ery­thing else stays the same as with the clas­sic asm.js com­pi­la­tion. If you pull lat­est re­vi­sions of Mag­num repos­i­to­ries, build­ing for We­bAssem­bly in­stead of asm.js is just a mat­ter of spec­i­fy­ing dif­fer­ent toolchain — Emscripten-wasm.cmake in­stead of Emscripten.cmake. Note that I had to use some new­er CMake func­tion­al­i­ty to make the dif­fer­ence, so you’ll need at least CMake 3.7 to com­pile for Em­scripten now. I hope that’s not a prob­lem for you — in the worst case you can al­ways down­load a pre­built bi­na­ry ar­chive of CMake, ex­tract and run it from what­ev­er lo­ca­tion. More in­fo about build­ing for We­bAssem­bly is in the docs. 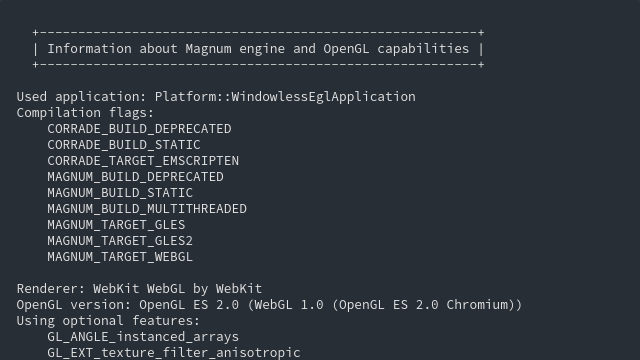 If you are on Arch­Lin­ux like me, there are al­so new PKGBUILD-emscripten-wasm and PKGBUILD-emscripten-wasm-webgl2 pack­age scripts in package/archlinux di­rec­to­ry of each repos­i­to­ry to make your life eas­i­er. Note that in or­der to make full use of all the new fea­tures, you might want to up­date your copies of EmscriptenApplication.js and WebApplication.css from the repos­i­to­ry. 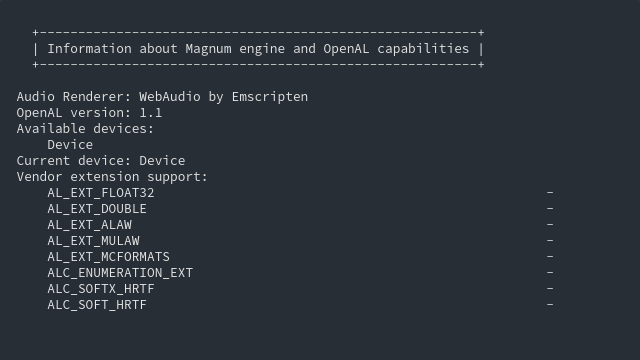 Loads an OGG file and shows how to play spa­tial­ized au­dio with the Mag­num Au­dio li­brary. I aimed to make all the de­mo pages re­spon­sive and mo­bile-firend­ly, but no­body’s per­fect — if you see some­thing strange, don’t hes­i­tate to re­port a bug ei­ther on the web­site re­pos­i­to­ry or for a par­tic­u­lar ex­am­ple. Feed­back wel­come, as al­ways. Pre­vi­ous­ly, the show­case page had al­so a small game that was run­ning on Na­Cl. I am in the mid­dle of port­ing it to Em­scripten, but couldn’t make it in time for this ar­ti­cle. Stay tuned, it will reap­pear — and with it al­so oth­er new demos! In­ter­net Ex­plor­er Se­ri­ous­ly? No. Sor­ry. Text util­i­ty print­ing in­fo about Mag­num OpenGL ca­pa­bil­i­ties. 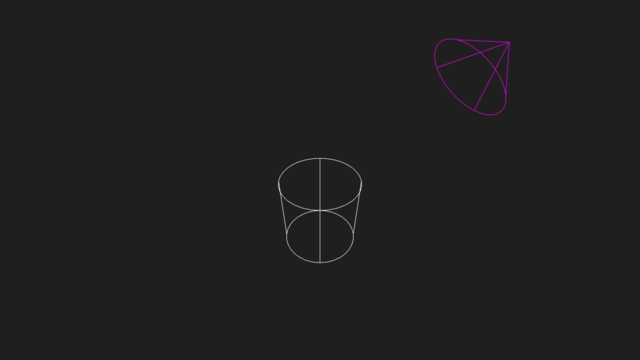 Ver­sions for We­bGL 1, asm.js We­bGL 1 and We­bGL 2. Text util­i­ty print­ing out var­i­ous in­for­ma­tion about Mag­num and the Ope­nAL im­ple­men­ta­tion it’s run­ning on. Win­dow­less ap­pli­ca­tions for Em­scripten are us­ing the Plat­form::Win­dow­lessEglAp­pli­ca­tion class, see its doc­u­men­ta­tion for de­tailed us­age guide. There is al­so a new win­dow­less-em­scripten boot­strap project. ./my-app --enable-msaa --magnum-disable-extensions "GL_OES_vertex_array_object GL_EXT_texture_filter_anisotropic"
The pro­gram name is prepend­ed to the ar­gu­ment list (to be­come argv) au­to­mat­i­cal­ly by Em­scripten and is hard­cod­ed to ./this.program. All --magnum-* op­tions sup­port­ed by the en­gine are work­ing on Em­scripten-com­piled ap­pli­ca­tions as well. More in­fo in the docs. Note that the sizes are tak­en at the time of writ­ing this ar­ti­cle and there’s still a lot to im­prove re­gard­ing code size in Mag­num. Quite a few pos­si­ble op­ti­miza­tions are ex­plained in this ex­cel­lent blog post: 10 sim­ple di­et tricks for asm.js (It’s not rel­e­vant to just asm.js, most of the tricks ap­ply to We­bAssem­bly as well). An­oth­er pos­si­bil­i­ty is re­nam­ing the *.wasm files to e.g. *.wasm.txt, which is a so­lu­tion when you don’t have the pos­si­bil­i­ty to over­ride your serv­er con­fig­u­ra­tion. But note that then the We­bAssem­bly files won’t get load­ed au­tomag­i­cal­ly and you need to sup­ply your own async load­ing code. Okay, that’s all! There’s still quite a lot Em­scripten-re­lat­ed fea­tures, demos and im­prove­ments in my buf­fer, so ex­pect an­oth­er blog post lat­er!